unknown birds, a skunk, two squirrels, a deer, a groundhog, and a pit bull—all lay dead along the highway. And a third of these deceased ones were within national park and wildlife refuge boundaries. I realize I only saw a glimpse of the death by highway that happens in the thousands every year. 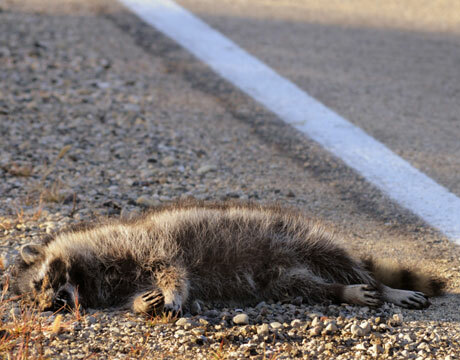 It’s just heartbreaking to see the relationship between seasonal animal activity and fatal road collisions manifest—especially in lands where they are supposed to have refuge.